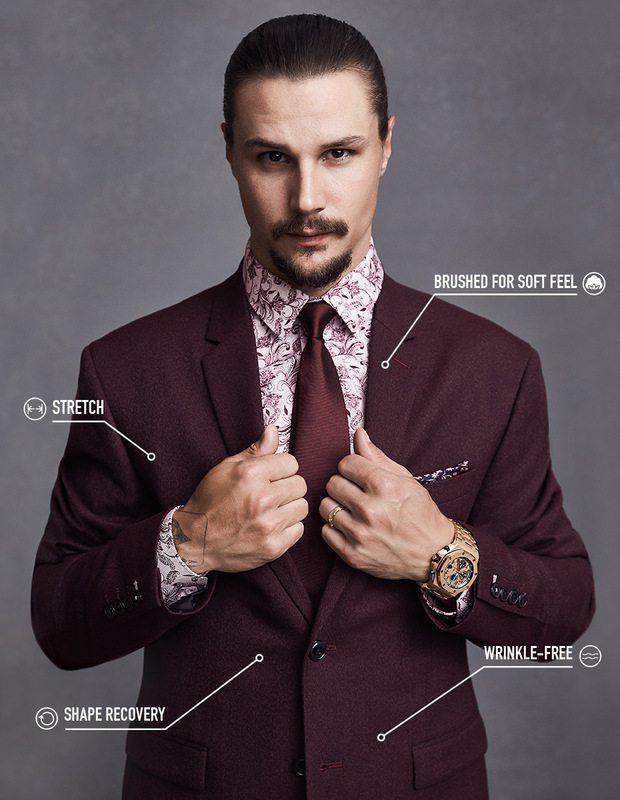 The RW & CO banner this season has chosen Ottawa Senators captain Erik Karlsson; who has recently aligned himself with the San Jose Sharks to be the face of its menswear collection. The association between Erik Karlsson and the new performance-oriented RW & CO completions, including the full 40 hours, was self-evident. The travel suit and the essential suit are also part of this collection designed for men who, like him, move constantly. The travel suit is designed for comfort and practicality (such as pockets for the passport and headphones). As for the essential suit, it's the essential basic piece, perfect for all kinds of occasions. Multifunctional pieces ideal for transitions, offering a simple and refined look, to work and to have fun. Inspired by the 1960s mod movement, RW & CO's Fall 2018 Collection. will be refined and adjusted, its silhouettes, pure and simple. Guests will find rich bright colors, ash pastels, deep blues and ocher neutral tones. Among the must-have items: a floral shirt under a black cherry suit, a white jacquard shirt under a navy check suit, and a tawny coat on a checkered light gray window suit. The price for the Fall 2018 Collection will range from $ 348 to $ 448. Jackets will be available in sizes 34 to 48 and in short, regular and long lengths. Tight, fitted and athletic fit shirts in TTG sizes will be found, with necklines ranging from 13 "to 18.5". The size of the pants will vary from 28 to 38; the 32 "length can be shortened or lengthened. The complete collection will be available exclusively online at rw-co.com and in RW & CO stores. selected from one end of Canada to the next from September 4, 2018. The official video of the campaign is available on request.